A wonderful light white cake that is filled with whipped cream and strawberries! Need I say more. This cake is my sister’s favorite and when I lived near her I made this cake for her birthday. I don’t know why I haven’t made this cake for such a long time but this year I brought it back for my twins birthday. 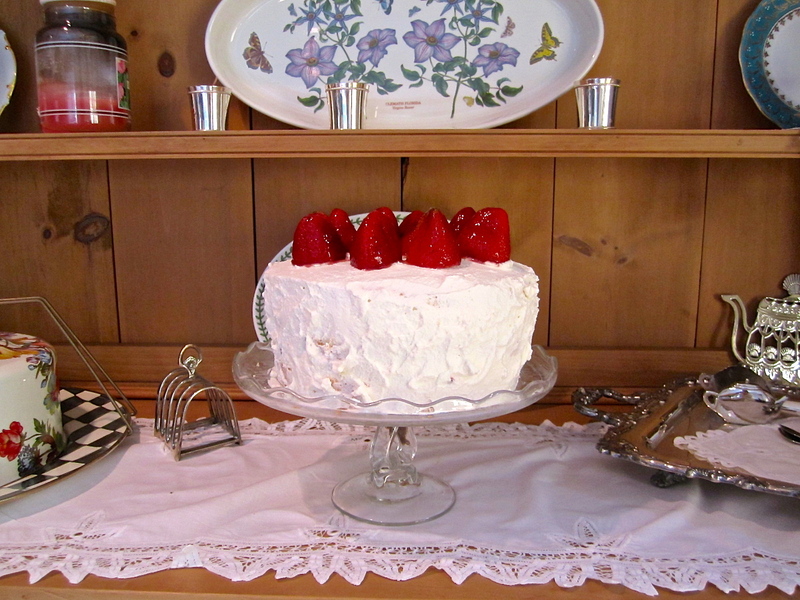 Everyone just loved my version of strawberry short cake! In a large electric mixer bowl let egg whites warm at room temperature for 1 hour. Sift four with salt. With mixer at high speed beat egg whites until foamy. 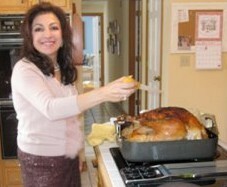 Beat in 3/4 cup of the granulated sugar, 2 tablespoons at a time, beating after each addition. Beat until soft peaks form when beater is slowly raised. Preheat oven to 350F. In a small mixer bowl at high speed and with the same beater, beat yolks until very thick and lemon-colored. Gradually beat in remaining granulated sugar; beat 2 minutes. At low speed gradually beat in flour mixture. Add lemon juice, 2 tablespoons water and the lemon peel, beating just to combine – 1 minute. With wire whisk, with an under-and-over motion, gently fold egg-yolk mixture into egg whites just to blend. Pour batter batter into an ungreased 10-by-4-inch tube pan: bake 40 minutes or until top springs back when gently pressed with fingertip. Invert pan, let cake cool completely about 1 hour. With spatula, carefully loosen cake from pan; remove cake. Divide cake into thirds with toothpicks. With these as a guide, split cake into three layers, using a long bladed serrated knife. Place bottom layer, cut side up, on cake dish. Slice 1 pint of strawberries. In a medium bowl, beat cream with confectioners’ sugar; add vanilla. Spread bottom layer with 3/4 cup cream and half of slice strawberries. Repeat with second layer. Top with the last layer, cut side down. Frost top and side with rest of whipped cream; toss 1 pint strawberries with jelly. Arrange on the cake.